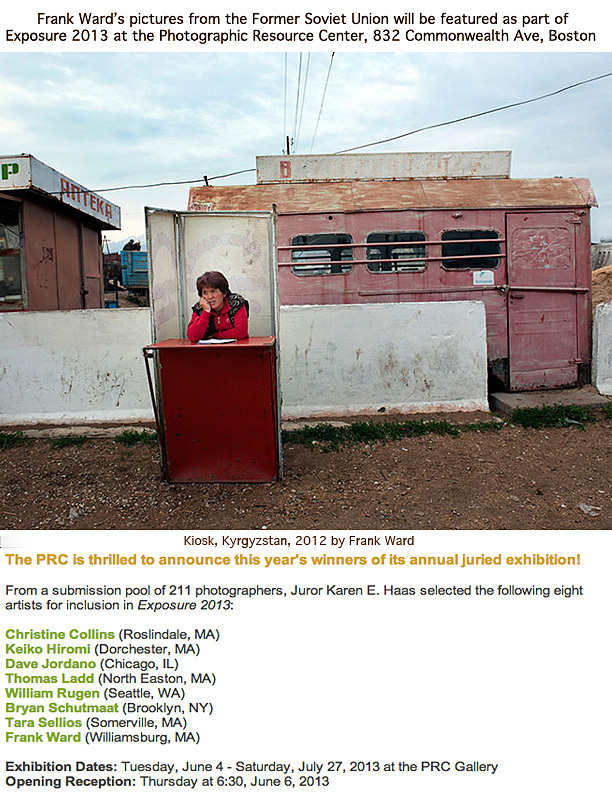 The 18th Annual Photographic Resource Center Juried Exhibition opens June 6, 6:30-8:00. That is tonight at 832 Comminwealth Avenue, Boston, MA. This Accordion Player is on the high pastures of Central Asia off a road heading from Osh, Kyrgyzstan to Kashgar, China. There will be a half dozen of my pictures from The Drunken Bicycle series at the PRC with seven other selected photographers. Neither of the above pictures are in the exhibit. You will have to go to see what is included.